After all the hype and speculation, it finally looks like 5G mobile networks will be coming to the UK later this year. What does this mean exactly? Well, in layman’s, it means that mobile data will be faster than ever before – some estimates suggest it could be as a high as 10x faster than the current 4G network – meaning you can browse, stream and download remotely, like never before! But regular mobile phone users won’t be able to take advantage of the new, super-fast network until they upgrade their handsets to 5G-ready models. Because of the huge technological leap between 4G and 5G, current handsets simply cannot handle the power. Luckily, some mobile phone manufacturers have already announced their 5G handsets, ready for the switch. 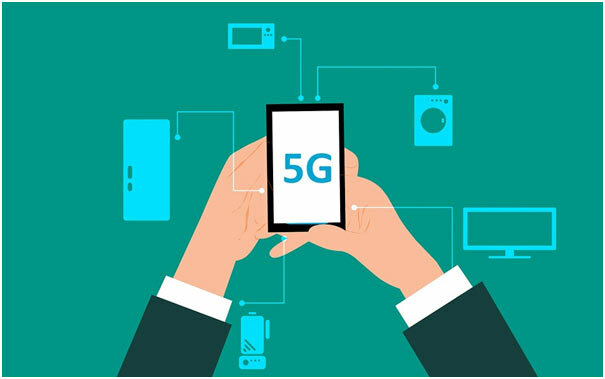 Let’s look at the already-announced, and rumoured, models so you’ll know what to look out for when 5G comes to your area. Unsurprisingly, most of the industry’s big-dogs have been working on a 5G handset to coincide with the advent of the technology, and one that has not been shy about its plans is Samsung. All rumours seem to point to an upgraded version of the recently-released Samsung Galaxy S10 – possibly called the ‘S10 X’. Aside from the increased speed of 5G, the phone will also be more powerful than its predecessors, with 10GB of RAM and a 5,000Ah battery. All of this combined will mean one very expensive flagship smartphone. So if you’re planning on being one of the first to buy a 5G mobile, you may want to consider getting some comprehensive mobile phone insurance to protect your investment. While several major companies have announced – or at least have in development – their flagship 5G phones, many more are claiming that theirs will be the first to hit the market. One contender of this auspicious title is Oppo, a Chinese manufacturer that claims to have been able to enhance their existing top-tier model with 5G, essentially negating the need for a brand-new handset. If this turns out to be true, Oppo could very well beat its competitors to market with a 5G-ready device, and signs indicate that they could be ready to launch their product by April. As you might expect whenever a new technology arises, Apple are rumoured to be hard at work developing their own iPhone model. While they are very unlikely to be the first company to launch – new iPhones are usually released in Q4 – it’s fair to say that a large proportion of the market will be waiting eagerly for their take on 5G technology. One issue currently stalling Apple’s 5G iPhone is its inability to source 5G chips from Qualcomm, the provider of the majority of 5G chips to other manufacturers. Instead, they’ll have to find another supplier of make their own, which could prove costly and time-consuming. But if they want to stay competitive in the market, they’ll have to release a 5G-ready device, rather than waiting a whole year later to join the race. Huawei has not been shy about their desire to release a 5G smartphone in 2019, even going so far as to tell news outlets the models that will potentially utilise the technology. While the company is facing some difficult in international markets, the brand is still strong in Asia, and you might expect them to become more dominant if they can be one of the first to bring a 5G model to market. The two models that have been identified, the P30 and the Mate 30, are set to be released in March and October respectively, so depending on the progress of Huawei they could be one of the first or last companies to get their phones out there. What’s more, there are unconfirmed reports that Huawei’s much-touted foldable smartphone could also be 5G enabled, so we could see two tech revolutions in one. As a sub-brand of Huawei, it’s not surprising that Honor are also working on a 5G handset, which is set to land in 2019. While there’s been no indication of which model will be released, there has been some speculation that the 5G-enabled model will be an upgraded Magic 2, or some other variant. They are also claiming to be the first company to get their product to market, joining a whole list of competitors make similar claims – but only time will tell! Regardless of whether you prefer iOS or Android, top-of-the-range or a mid-tier option, it appears that there is going to be plenty of choice when 5G finally comes to the UK, so you’ll be able to stick with your preferred model and still reap the benefits.